Don’t Lose Your Marbles at Georgia Marble Festival! This is one local festival you don’t want to miss! 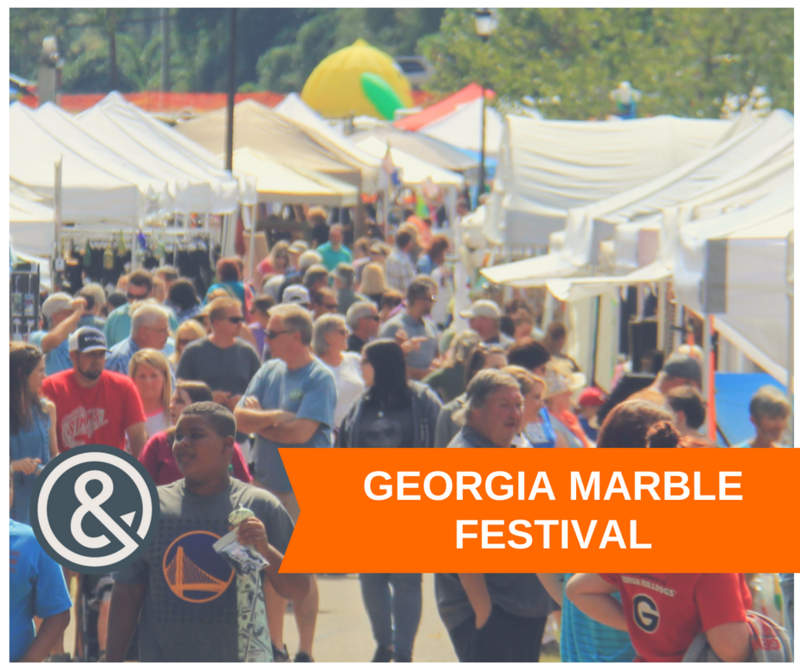 The 38th Annual Georgia Marble Festival is coming to Jasper, GA on Saturday October 6 and Sunday October 7, both days from 10:00am to 6:00pm. The annual Georgia Marble Festival is popular, and includes arts & crafts as well as an art gallery. Throughout the day there are music and performances on the stage, and activities like a parade, road race and tours of the quarry. There is a Kid’s Zone that is FREE, plus a selection of festival foods. Live demonstrations include marble & granite sculpting, pottery, and chainsaw carving. The event is held at the Lee Newton Park at 500 Stegall Drive in Jasper, GA 30143. For more information visit georgiamarblefestival.com.